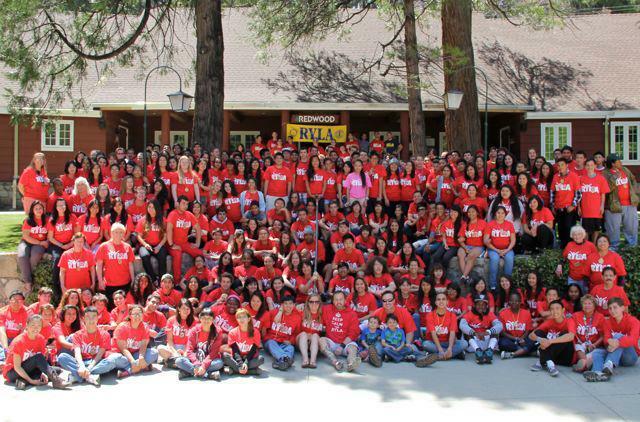 Each spring, between 180 and 200 high school students from the Greater Los Angeles area, (Rotary International District 5280) meet for 2 ½ days to improve their skills as leaders in their communities. 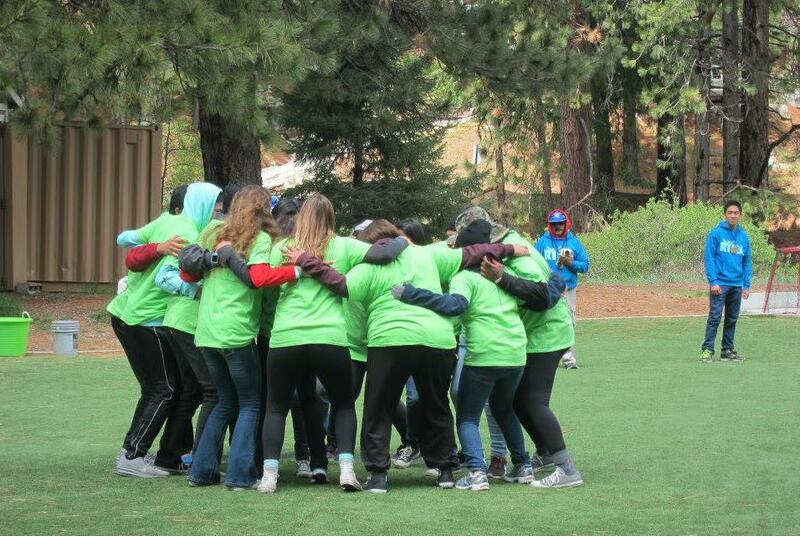 Students participate in experiential learning activities, including active leadership workshops, team building activities, and a RYLA Olympics and talent show. 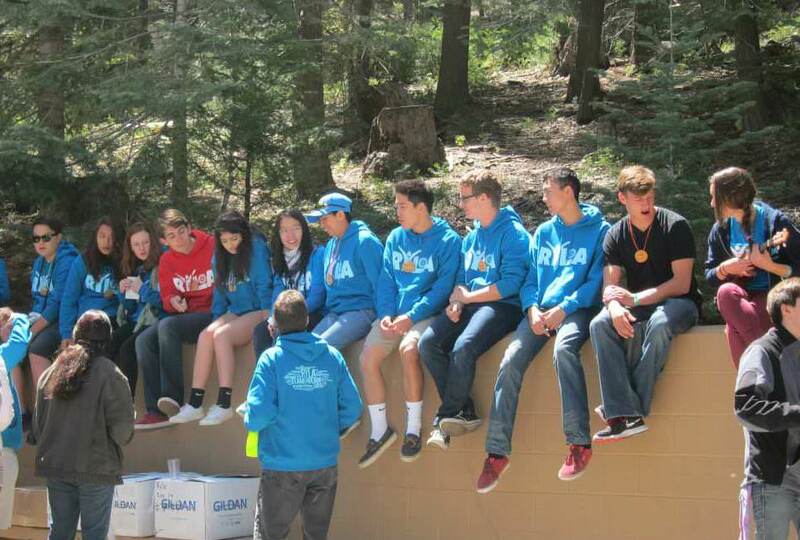 Set high in the San Bernardino Mountains, the camp is breathtaking and completely private, giving the students a peaceful environment in which to learn more about themselves, and their peers. HOW DO I ATTEND RYLA? If you are a high school freshman, sophomore, or junior passionate about leadership, service, and Rotary, RYLA is for you! 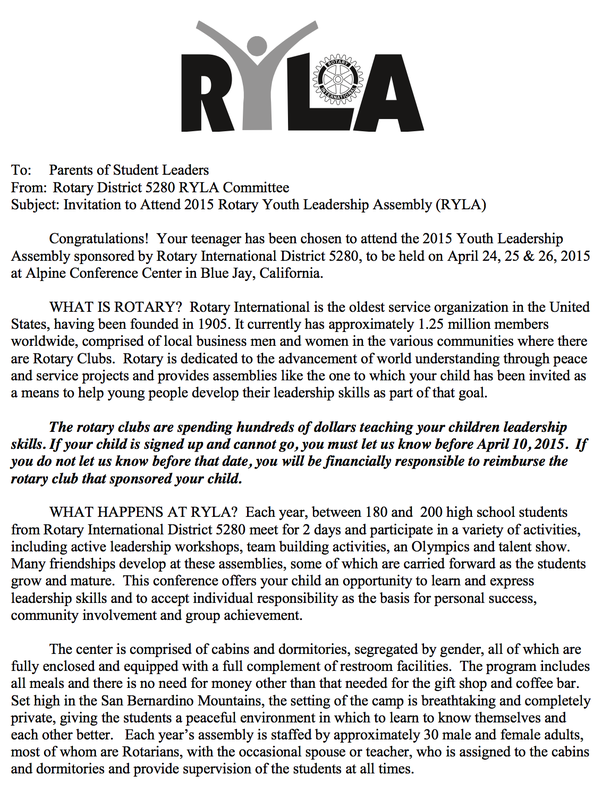 Each Rotary Club is assigned a RYLA Liaison responsible for facilitating the signup process. Contact your Interact Club Leadership, or Rotary Club to sign up to attend RYLA! 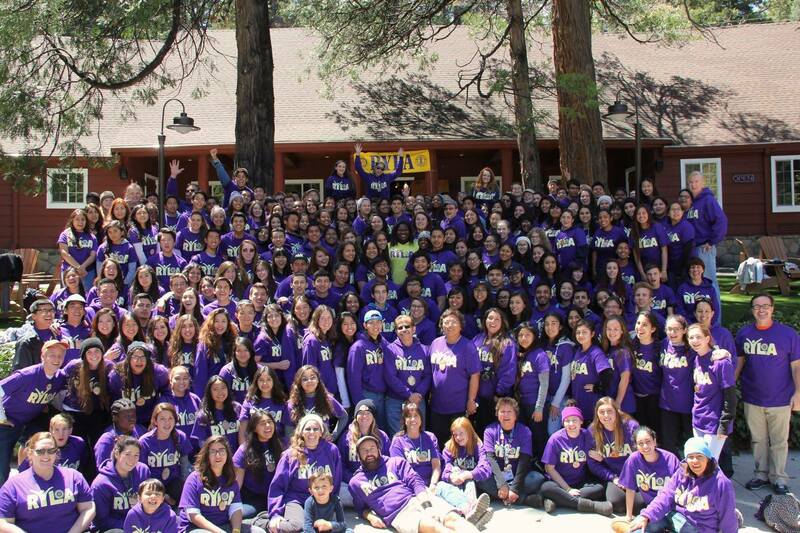 District 5280's RYLA is located at the Alpine Camp and Conference Center in the San Bernardino Mountains. Immersed in nature, this camp provides the perfect location for self reflection and an incredible learning experience. 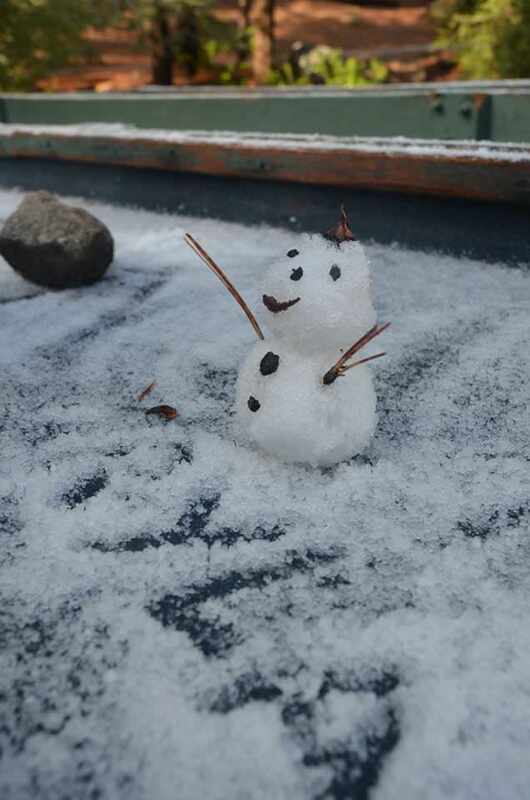 RYLA takes place in April, but it does get cold at night. Pack for rain and shine! 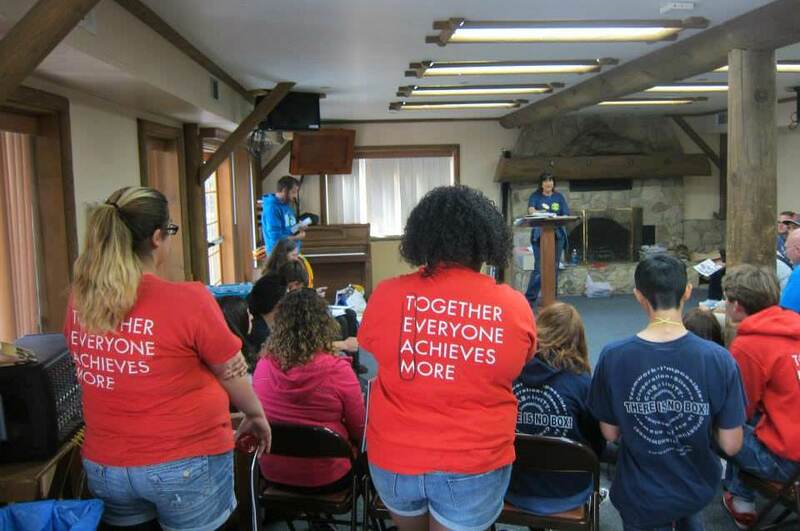 The RYLA counselors train year-long to create the magic that is the RYLA weekend. 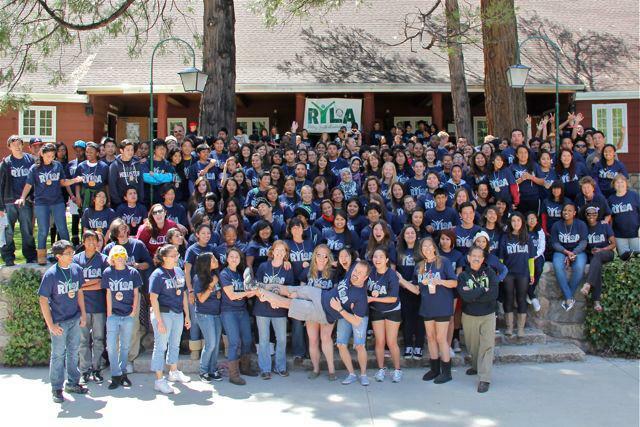 They are composed of previous RYLA attendees who wish to pass on lessons learned. You will never find a friendlier mix of Interact, Rotaract, and Rotary. We promise an amazing weekend!